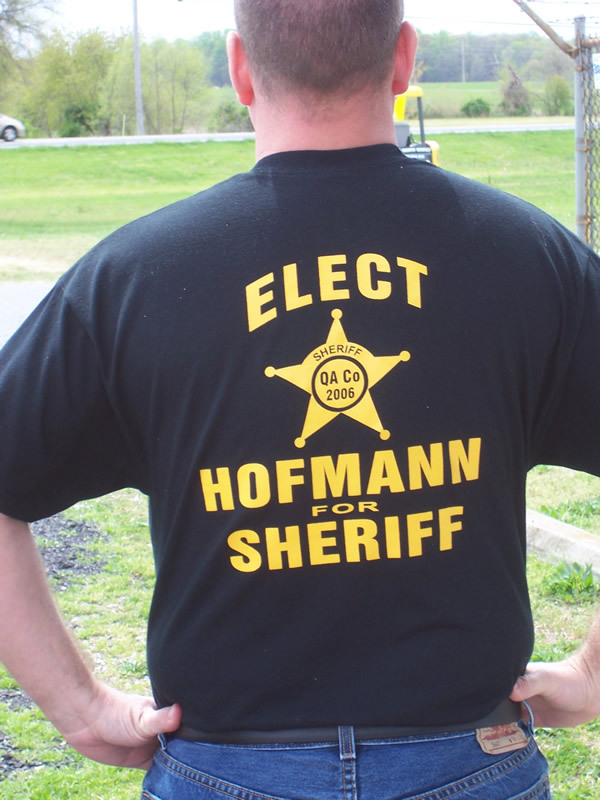 Thanks for stopping in on our free election items page. As you know, showing your support can be done in so many ways. 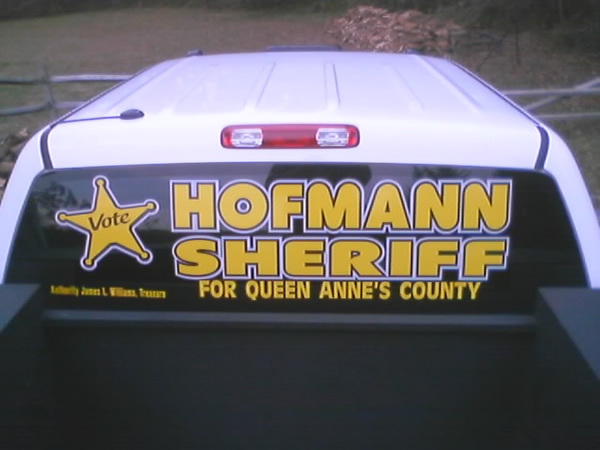 Donations are needed, however simply displaying a bumper sticker, yard sign or Sheriff Wear are a great way to say “Hofmann for Sheriff”! Clothing is a great way to show support at parades, carnivals and just around the county. Plus they are pretty stylish in several colors. Just email us your name, address, and size and color and I will hand deliver one to you! 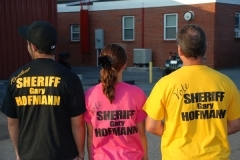 Donation of $5.00 is appreciated, and will help continue the support shirts. New for 2018 are Heather Gray and azalea pink. These are great to sport at local events and I appreciate you showing your support! 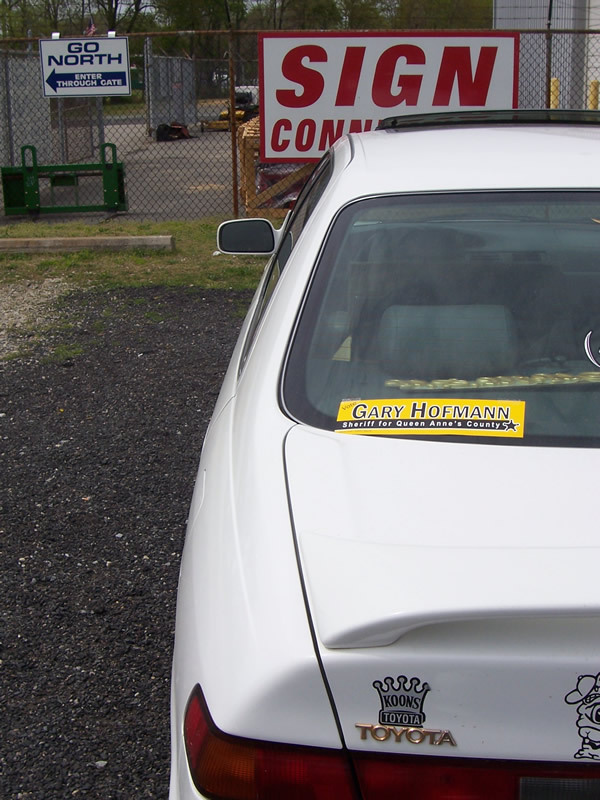 Bumper Stickers – What a great way to say, this is the right choice. 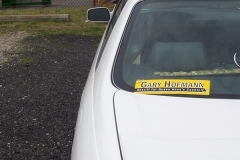 Although we prefer that you place them on your glass (lower left rear window) , they are a statement all in themselves. Just email us your address and we will mail or deliver these to you. They are available in two sizes, traditional and large view through. If you have a specific size or idea, we will make it fit your vehicle. Just let us know! 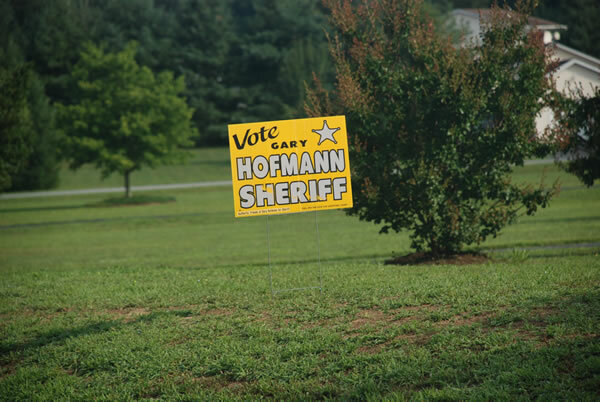 Yard Signs – Make a community statement. 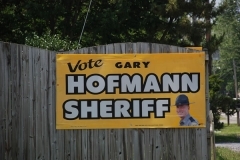 Show your fellow neighbors who you support, place a yard sign or large sign on your property. These are available, sturdy, and bright. Join your community on showing your support. 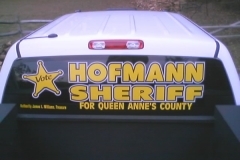 Just call or email us to get your sign. We will gladly deliver these to you. Let us know when you want these, we are placing signs the middle of each month. Join the long list of supporters, we are glad to be in your yard! 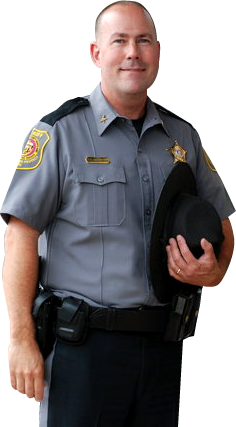 Question: How can you help spread the word for continued consistency in your Sheriff’s Office? Fundraisers – Check our events page for the most current and up to date events listing. These are always a great time to share with your neighbors and show your support! Plus, the food and company is always great! Donations are accepted online by PayPal, or you may mail them to our address. 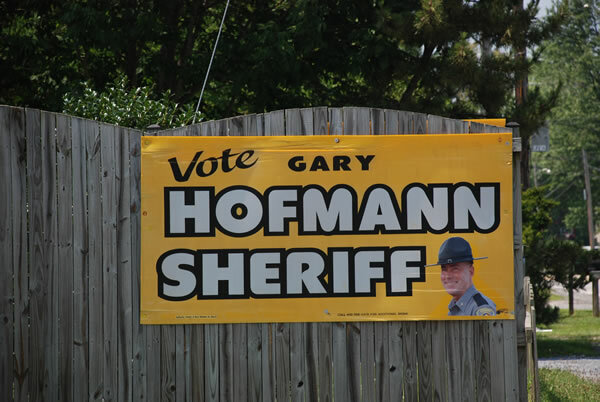 In fact, just call us and I will personally stop by and pick this up with pride, assuring you that your donations will be used responsibly to promote the campaign. 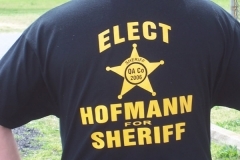 There is no amount too small to give; we understand how valuable each cent is in our campaign to promote your Sheriff with local community members. Facebook, Twitter, and pass along emails are a great way to show your support too, it’s simple, easy and great way to spread the information. Just join our pages from the links on the home page. Join the Campaign! Let’s make this a great 2018, protecting the continued future of proactive, responsible, dedicated policing that allows us to enjoy this great county!